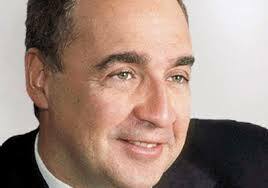 His foundation, the Blavatnik Family Foundation has contributed 20 million dollars to the university of Tel Aviv. The has resulted in the Blavatnik initiative, which is a multi year program focused on interdisciplinary scientific research. It also supports student film production and faculty recruitment. The foundation has also contributed 50 million dollars to Harvard University. Part of the contribution is for early stage medical research. In addition it will support graduate business students to pursue entrepreneurial projects related to the life sciences. The New York Academy of Sciences will get 30 million dollars over the next decade. This saw the establishment of the Blavatnik awards for young scientists. Scientists who are under the age of 42 will be eligible to win the 250,000 dollar prize. The Oxford University has received 117 million dollars as gift from Len Blavatnik to establish the Blavatnik School of Government. A place to prepare students from around the world for public office. These are just a few of many contributions that Len Blavatnik’s Access Industries and Blavatnik Foundation has made to the world.